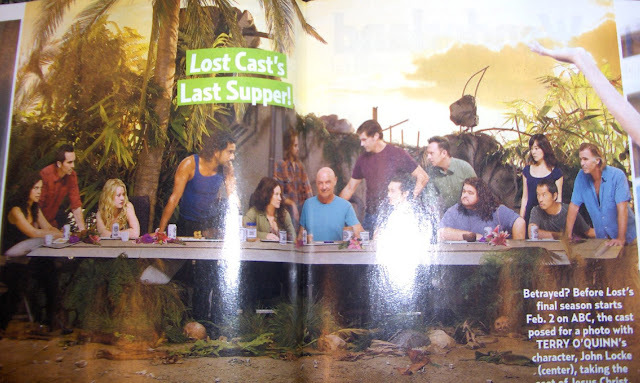 Season six is the first and only season of Lost ever to not feature any kind of preview or official promotional material such as sneak peeks and promo pictures for future episodes since the Lost producers consider any single frame from the first episodes to be too revealing. According to Lindelof, "even a single scene from the show would basically tip what it is we're doing this year, and what it is we're doing this year is different than what we've done in other years". I just felt a sensation in my nether regions. I thought Juliet was coming back, she's not in the photo. I know she's on V but I heard she was doing both shows. We have to go back, Kate. since xmas, i have decided to see what the deal is with this show. i am very glad to have gotten involved!!! as of 5 minutes ago, i am now ready for the final season. i think the show is excellent, with seasons 1/2/3 being some of the best TV i've seen. 4 & 5 were good, but kind of getting out there a bit. Only thing i'm dissapointed in is that i won't be able to see what happens right away, having to wait each week for new episode. Cool promo, but it was confirmed that it wasn't real. Ooh, I love that show, will definitely keep an eye out for him. Ever see Mighty Joe Young? "Yes I saw!! He almost tore my head off!!" no...but if Sayid is in it I will watch it! A good interview with Damon & Carlton. Nothing spoiler-y here. I loved the Bollywood comment! loved the scan wayne! thanks! NEW YORK (AP) -- These fans would truly be lost without their favorite TV show — and they're taking their case to the top. Fans of the ABC series about marooned plane crash survivors fear President Barack Obama will give his State of the Union address Feb. 2. That's the same day as the three-hour premiere of the final season of "Lost." Twitter comments Wednesday included "Leave my LOST alone, Skippy!" and "Come onnnn, Obama..pick another day." The Facebook group "Americans Against the State of the Union on the Same Night as LOST" asks "When will it end?" It notes that Obama already bumped "A Charlie Brown Christmas" for his Afghanistan speech in some markets. The White House isn't saying when Obama will speak. An ABC spokesman wouldn't say whether the network would consider moving the premiere.